8 Things You Can Do TODAY to Lower Your Risk of Advanced Breast Cancer « Stacey Vitiello, M.D. Posted on October 29, 2011 by Stacey Vitiello. 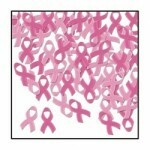 Breast Cancer Awareness Month ends on Monday. Of course awareness is important, but knowing what specific actions you can take to protect yourself against the disease is empowering. 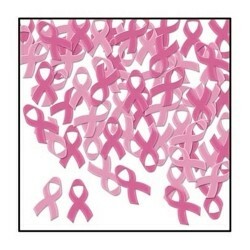 Breast cancer can strike anyone, with or without risk factors. However, there are several things you can do NOW to lessen the likelihood of advanced breast cancer happening to you. 1. Lace up and take a walk! According to the Women’s Health Initiative study, women who walked just 30 minutes per day at least 5 days a week (exercise pace, not a leisurely stroll) decreased their breast cancer risk by 20%. I know how hard it is to fit exercise into a busy life, but then I think about what Rachel Ballard-Barbash from the National Cancer Institute says about that in this article by Liz Szabo: “If you can’t make time for being physically active in your daily life, plan to make time for being sick.” She’s got a point. 2. Know your Body Mass Index, and make a weight loss plan to keep it under 25. Calculate your BMI in less than a minute here. According to the American Cancer Society, “Both increased body weight and weight gain during adulthood are linked with a higher risk of breast cancer after menopause.” Some have placed this increased risk at 25%! “If there was a medication that gave us the same improvement as weight loss, we would be all over it.” ~Dr. Oz. more info and links to instructional videos. 5. Limit the cocktails. One of my girlfriends said to me this week, “But I’m a mom, I need that glass of wine!” Sip mindfully, ladies, and don’t shoot the messenger! According to the American Cancer Society, the use of alcohol is clearly linked to an increased risk of developing breast cancer. The risk increases with the amount of alcohol consumed. Compared with non-drinkers, women who consume 1 alcoholic drink per day have a very small increase in risk. Those who have 2 to 5 drinks daily have about 1½ times the risk of women who drink no alcohol. 6. Find out if you are at high risk. Have a discussion about your breast cancer risk status with your doctor, as you might need to take action. But keep in mind that 75-90% of women diagnosed with breast cancer are not high risk. Learn more here. 7. Schedule an appointment for a mammogram. If you are over 40, you should definitely be having yearly mammograms. Your doctor might want to send you for a baseline mammo at 35, and I wouldn’t argue with that. See why the USPSTF (government task force) recommendation to start having biannual mammograms at 50 is irresponsible here. 8. Know your breast density. If your breasts are dense, your mammogram won’t find up to half of cancers, and you should have a test in addition to a mammogram every year (breast ultrasound or MRI). See www.AreYouDense.org. Your density information should be in the official report from your mammogram, so ask your doctor. If it’s not in the report, call the radiologist who read your films and ask them. It might take some legwork, but you have a right to know this, and the information could save your life. A movement is afoot to make disclosure of breast density information mandatory when a woman has a mammogram. More about this in a future post!